Reputation is everything. And on the internet, that couldn't be more true. It's important to always know what people are saying about you -- whether it's your customers, your competitors, or the press. And on any given day, it can be tricky to keep up with what your audience is sharing across a variety of social media platforms. That's why social media monitoring is so important today. 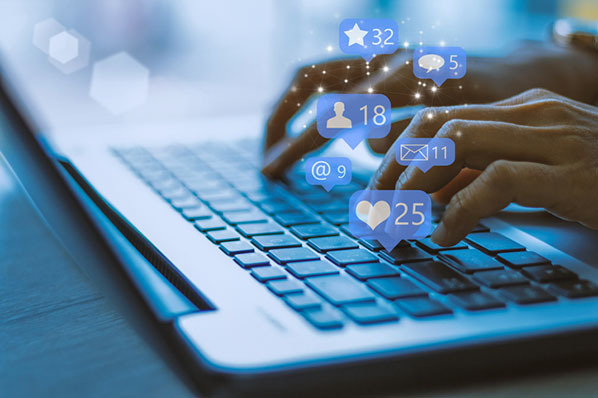 Social media monitoring, sometimes referred to as social media "listening," is the practice of examining what's being said about someone or something -- or the topics that entity cares about -- by other social media users. The people who are conducting this monitoring can do so for their own personal profile or on behalf of a business's social media account. Social media monitoring can take many forms and track keywords, hashtags, and mentions of a specific user. It can also take place on one social network or across several. Depending on the user and what their goal is in monitoring their social media presence, social media listening can offer all kinds of insight to help a business become more efficient. 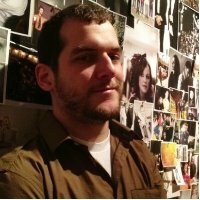 For example, if a brand is particularly controversial, or sensitive to how it's defined by the public, it might want to monitor every social network on which the brand has an account to keep track of its reputation. Or, if the company has a talkative consumer base that it wants to interact with, the company might limit its monitoring to just the social networks where it knows its customers are most verbal. No matter what your goal is when listening to a social network, checking out your newsfeed, timeline, or conducting a basic search through the network's search bar simply won't suffice. 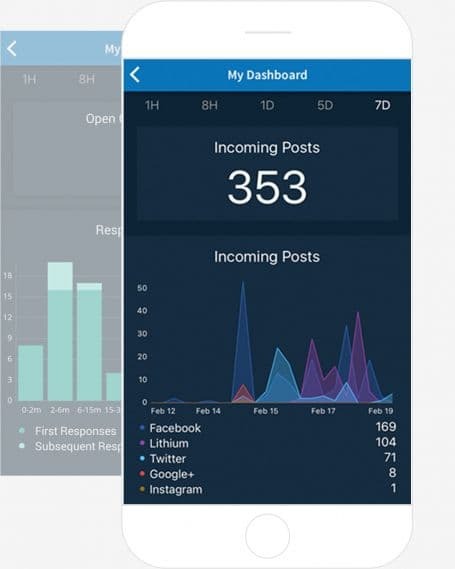 There are numerous social media monitoring and management tools out there that can tap conversations you won't find by yourself. 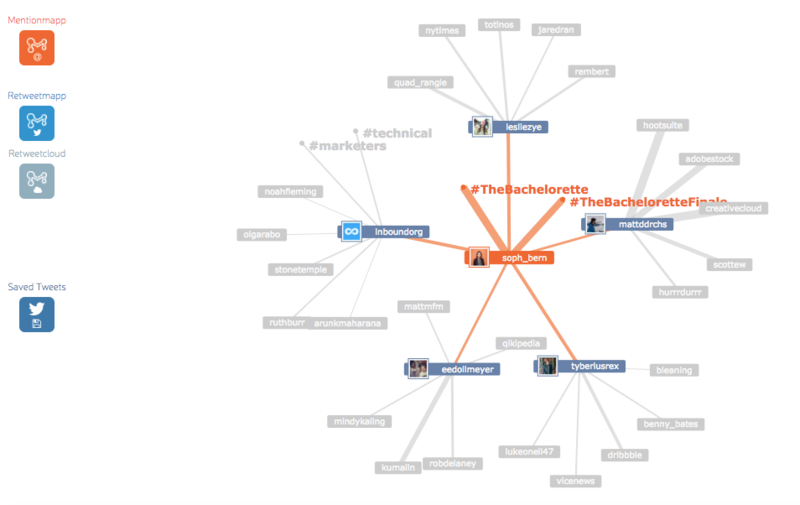 And each tool offers a different set of data to help you adapt your social media strategy over time. So, we've rounded up some of the best free social media and brand monitoring tools from around the vast web of social networks. Nearly all of these tools are free, but some offer paid versions with more features and capabilities. Let's dive into each one -- and see if you want to test them out today. TweetDeck lets you create a more customized Twitter interface to monitor different users, hashtags, search terms, and lists. From one panel, you can look at Twitter content from the groups you want -- whether that's customers, competitors, or employees. 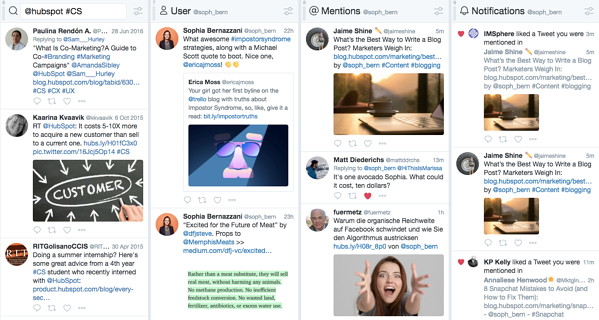 TweetDeck is a great tool to use during events or live-tweetstorms to keep up with live conversations -- while also keeping an eye on you or your brand's notifications and mentions. 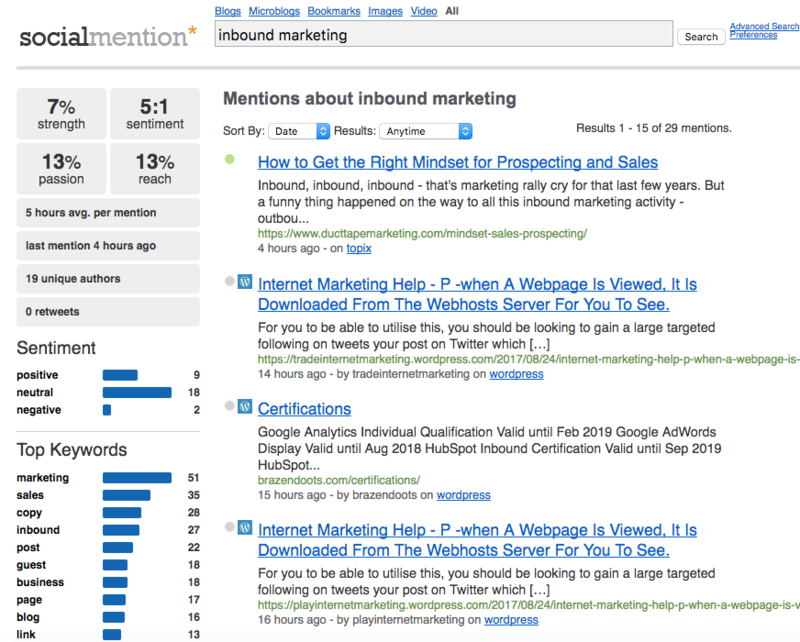 Social Mention aggregates all of the blog, microblog, image, and video content related to the search term you provide from a variety of search engines and social networks. This makes it easier to digest and view what’s being said about your brand in one comprehensive view. TweetReach gives you a free "snapshot" report on the potential reach of any tweet that includes a given hashtag, keyword, or username. With analytics provided by Union Metrics, the tool offers a free signup for which you'll be able to see who's talking about which topics, how many impressions you'd get on a post about that topic, and more. 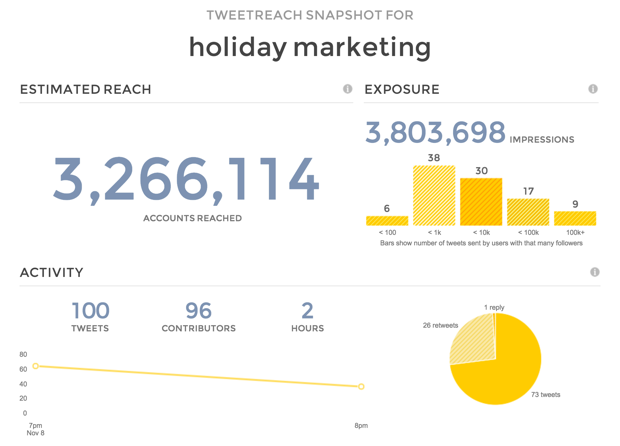 TweetReach's snapshot reports are free for the first 100 tweets, and the company offers paid plans starting at $49/month thereafter. Followerwonk lets you quickly and easily search users' Twitter bios and profiles for mentions of you or your brand. Log in with your Twitter credentials to check it out, or subscribe to the paid versions to get even more social insights. SumAll connects to a variety of different social accounts -- including Twitter, Facebook, Instagram, and LinkedIn -- to provide you with insights about your followers, interactions, and engagements. The paid version provides content recommendations and automatic post scheduling. Mentionmapp connects to your Twitter API and see what’s going on in your Twitter network. You can see who mentions you the most, as well as who retweets you the most (using Retweetmapp). It's interactive, too. That way, you can click through and see how your interactions are connected -- if you want to keep an eye on the impact or reach a positive (or negative) tweet about your brand can have. Lithium -- which recently acquired the social media monitoring tool, Klout -- offers a "social response" tool that allows you to manage, understand, and respond to the direct outreach you get from other users on social media. The tool integrates with Twitter, Facebook, Instagram, and more to help you visualize where people are talking to (and about) you the most, so you can focus your customer engagement in all the right places. 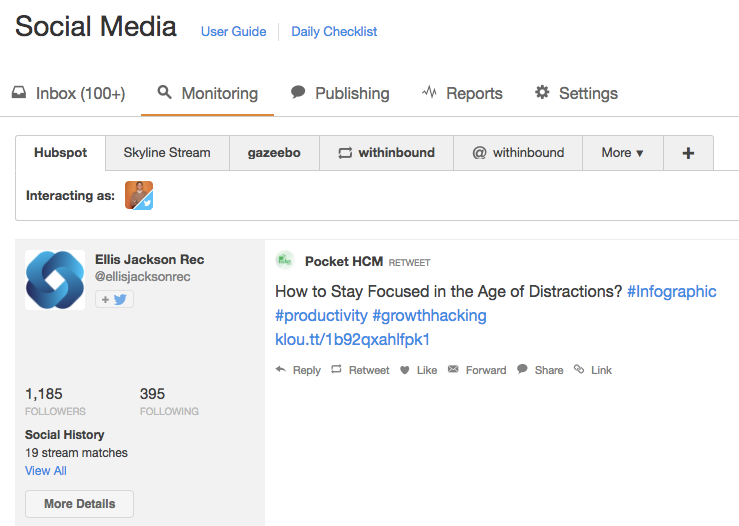 Hootsuite works like TweetDeck -- but for all of your social networks. 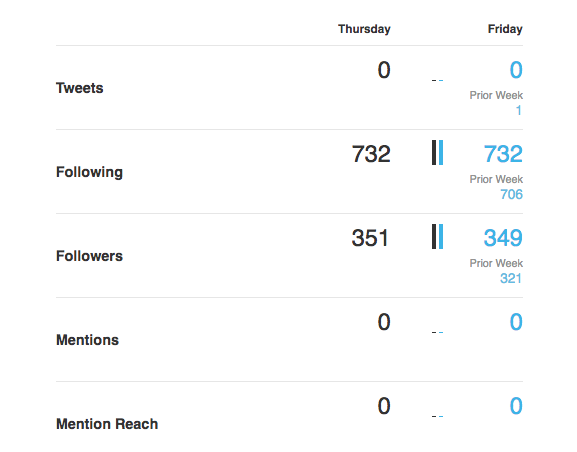 From your Dashboard, you can carry out social monitoring, scheduling, campaigns, and analytics -- all in one place. 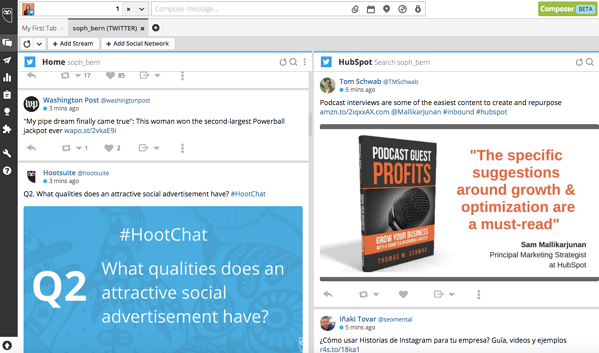 Hootsuite integrates with Twitter, LinkedIn, Facebook, Instagram, YouTube, and Google+, and although it's free for individuals' accounts, businesses and enterprises have to purchase paid versions. 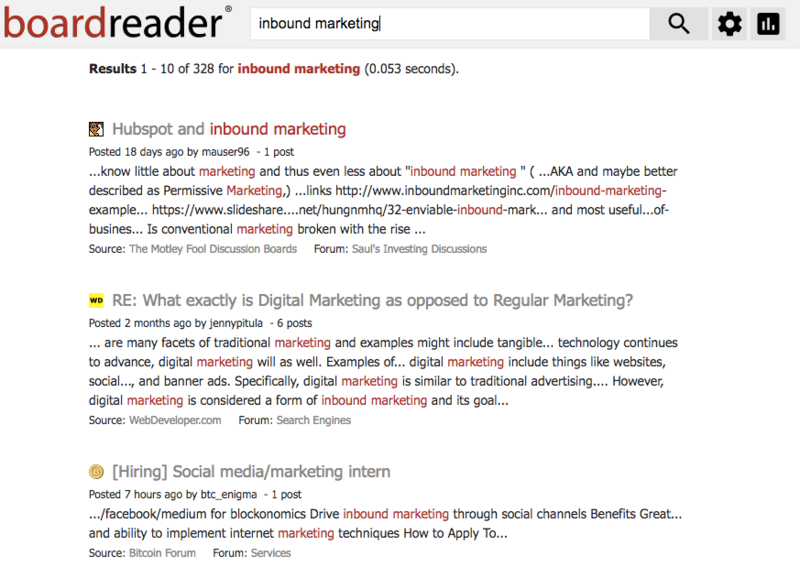 Boardreader does what its name suggests -- it crawls message boards and discussion panels to see what people are saying about you and your brand in the dreaded comments sections, which otherwise seem impossible to parse through. Commenters often have stronger words than social media posters, so make sure you have a thick skin before diving in. BuzzSumo aggregates data about the number of links to your domain and pieces of content receive -- on social media, and via backlinks. 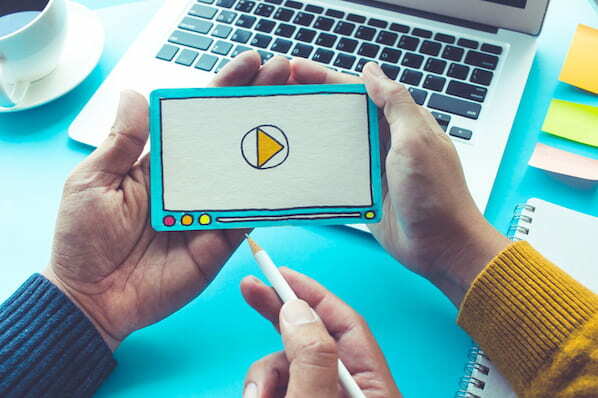 These insights can help you determine which content formats perform best on each network, giving you ideas for web pages and pieces of content to replicate again. It's freeup to a certain number of links, but after that, you have to pony up some cash for the Pro version. 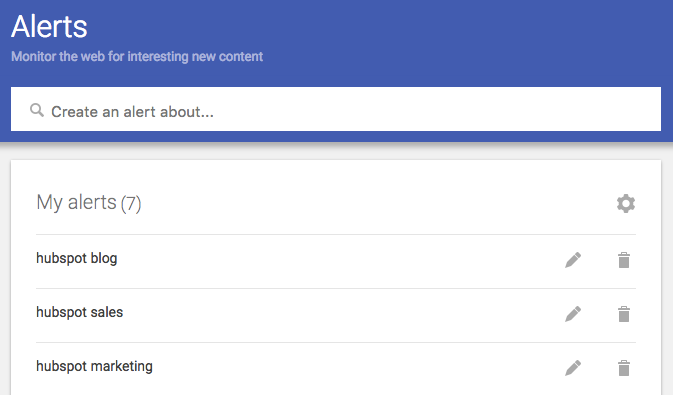 You can set up Google Alerts to see where people are mentioning you or your brand in search results, too. Enter specific terms that might be included in news story titles, and you'll receive regular emails updating you to mentions from around the internet. A few social networks provide free analytics to users -- or, sometimes, analytics viewing is included in a business subscription for brands. 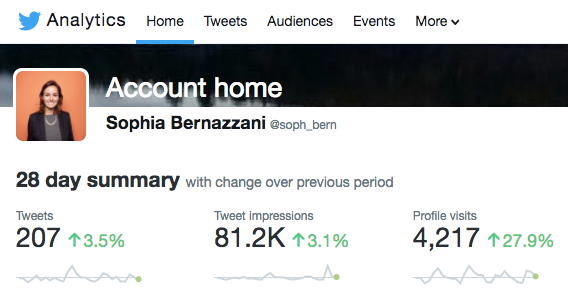 Above is an example of what Twitter Analytics looks like for individuals, with more data and insights provided for business accounts. 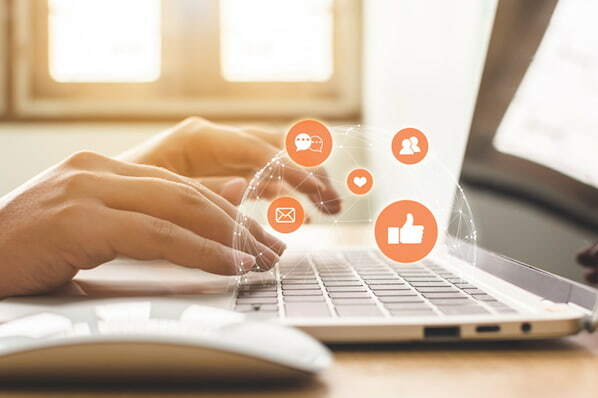 If you're a HubSpot customer, HubSpot Social Inbox lets you set up specific streams for users and search terms you want to monitor. Check out this video tour of different HubSpot tools to get an idea of how it works.